Driver on duty malayalam movie, the directorial debut of Manoj Palodan wil have Asif Ali, and Remya Krishna in lead. After the grand success of Dosth and Mazhathulli Kulukkam, Ravi Kottakarakara will be producing this movie under the banner Ganesh Picture. 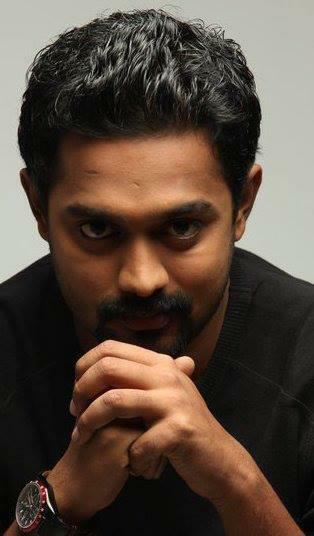 Scripted by Manoj and Ranjith, 'Driver on duty' will be a special movie in the acting career of Asif Ali. During the busy schedule of his acting career, young actor Asif Ali is entering a new life, getting married to Zama Nazrin in a ceremony to be held on 26th May 2013. Asif, being one of the leading young actors in malayalam is happy after being acquainted with a handful of movies in 2013 too. With Honey Bee, D Company, Kothara and Red in line, Asif would be donning an important character in Manoj Palodan's directorial debut 'Driver on duty'. After the grand success of Dosth and Mazhathulli Kulukkam, Ravi Kottakarakara will be producing this movie under the banner Ganesh Picture. Scripted by Manoj and Ranjith, 'Driver on duty' will be a special movie in the acting career of Asif Ali. Manoj Palodan who had assisted Saji Surendran will make his entry as independent film makers with this movie. Popular south indian actress Remya Krishna is making a comeback through 'Driver on duty'. Asif Ali will don the character role of a driver in a women police station. This would be totally a different role in the acting career of Asif who had been doing romantic characters in almost all of his movies. The script writers Manoj and Ranjith had earlier worked with 'Good Bad Ugly' which would get released soon. The casting of the movie is currently progressing. Asif Ali will also be seen in 'Red' directed by Vasudev Sanal along with Sreenivasan, Lal, Manikuttan, Vijyakumar, Nandu, Nobi, Sudheer Karamana, Jaffer Idukki, Prasanth Alexander, Lena, Mythili, Vishnu Priya and Lakshmi Priya featured in important roles. Produced by Aji Medayil, Joy Kaithamattom and Christy Kaithamattom under the banner Good Company & Angel Works, the shooting of the movie is progressing in Ernakulam.